On the any working areas, the health and safety issues is very important for both employers and employees. For construction site, this occupation is the most hazardous in the world, when working on this site that all workers always face with a lot of risks from the working environment as noise, dust, and other risks in this area. Thus, workers who always need basic knowledge about the personal protective equipment to help them avoid the dangerous. As we know, out of the numerous organ systems in the human body, eyes and ears is the sensory organs which are some of the most fragile and prone to damage if not protected adequately. Actually, damage to the eyes and ears can result in temporary or permanent loss of function in those organs such as blindness and deafness, these conditions which seriously impair quality of life and capacity for work. This site provides useful information from Protect Eyes and Ears on the Construction Site You Need to Know with 4 key points in order to prevent risks to eyes and ears. 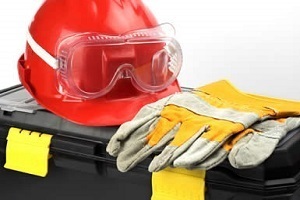 Moreover, the health and safety issues is really paramount for both employers and employees, it not only will adequate health and safety measures prevent you and your colleagues from being injured in a potentially permanent manner, but will also protect your employer from potentially damaging legal ramifications and also saving time and money for them. Please click here to get further information of Cscs. How can Your Eyes Injury On The Construction? When you are working on a construction site, if a worker does not basic health knowledge to prevent the risks which can harm to his eyes that it is very dangerous, it comes to result in eye injury or irritation. Or when you are working in dark conditions, if you do not use personal protective equipment such as eye protection to avoid spotlights which could dazzle or damage the retina when you look at directly or when it illuminate the work area too strong. One more things of eye risks, you should note that is dust hazards. On the construction site, all workers who often face directly with dust hazards from cutting and grinding tasks can irritate the sensitive membranes around the eyes, desiccating and abrading the surface, it is more seriously dangerous reason that the dust from any task involving power tools which is to rapidly rotating blades or bits which could break off and strike the eyes, or using chainsaws or other cutting tools is similar damage to harm to your eye with large chips of a material flying off. It is firstly important that you should have yourself basic knowledge in the health and safety when you are working on the construction site. With an risk assessment, which can help you and your employer assess the risk level in working environment by expecting to constantly assess on-site risks and up-to-date your risk assessment document to reduce the hazards in working environment. Furthermore, you need note details that they should be added to the risk assessment such as people who is at risk included you, people who working nearly, passers by, or your colleagues; the related risk degree; ans how to mitigate these risk. An assessment which is really important for employers and employees because they can base on this document to remind measures which should be taken to minimize injury as well as protecting your employer by demonstrating that they have taken on-site risks into account. Working on the unsafe environment as like construction industry that all workers who should be used usually personal protective equipment, including eye protection (goggles or visors) for minimizing risk of eye injury. Particularly, it is like welding, you need to note carefully because this is extremely serious eye injury in the first time of exposure directly. In addition, there are lots methods to reduce particle hazards included extraction systems, and keeping the cut material wet which would like prefer to reduce effectively eye injury from particles. It depends on your working environment to make suitable methods. However, it is important that you should remember you should have assessment about these risk to avoid effectively. How can Your Ears Injury On The Construction? Just like the eye hazards, there are a lot of risks and hazards to your ears while working on construction environment. Moreover, hearing injury can easily become permanent although you can be treated immediately. So, it is very important to protect your ears when working. If you are often working in noisy environment long time or an too noisy environment in which your ears will be injured. An other hand, any tool or process which produces noises 120 decibels that coming result of ear injury. As same eye injury, fragments and dust in working environment which can harm to hearing damage. While working on construction environment, in order to reduce the number of risk to ear injury that employers and employees who should firstly carry out a thorough risk assessment of any hazards and keeping it up-to-date at all times to inform the risk level to hearing damage. Addition to this, hearing risks can be minimized by the use of personal protective equipment while working as like wearing ear protection suitably when while working near processes involving high levels of noise or mitigating the noise production of said processes as much as possible. When you are working on the construction industry that you should know information above to protect effectively your eyes and ears away the risk as well as get yourself a safe working environment. From this article Protect Eyes and Ears on the Construction Site You Need to Know that we hopefully offer useful information for your career. Especially, we also suggest lots free online CSCS test mock questions and full answers about the health and safety for your CSCS test. Let’s enjoy now!